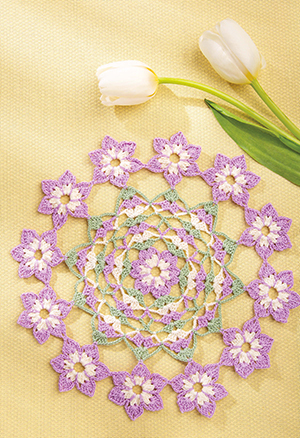 Jackie Daugherty is the editor of Crochet World magazine. 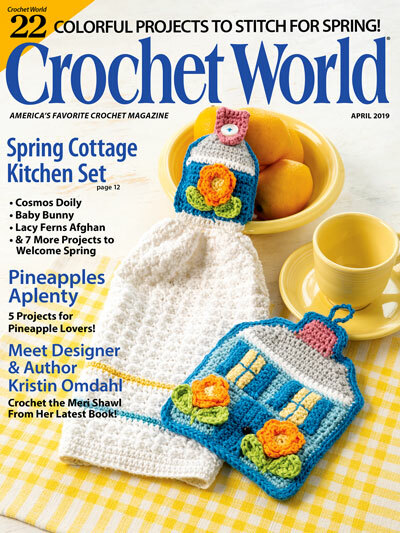 She also edits the special newsstand issues of Crochet World and Crochet! magazines and is the project manager for Annie's Hook & Needle Club. Click here to contact Jackie! 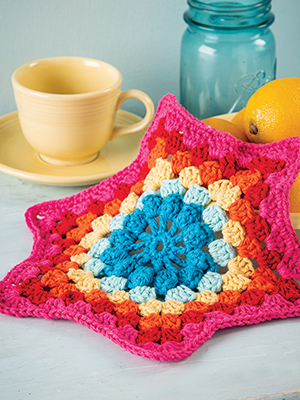 Copy and paste this code onto your blog to share your love for Crochet-World. We have been experiencing below normal temperatures this month, so sharing a sneak peek of the April 2019 issue is especially thrilling. The bright spring colors are a welcome sight compared with the snowy landscape I see from my window! This issue is filled to the brim with Signs of Spring. You may even have a hard time deciding which project to make first! 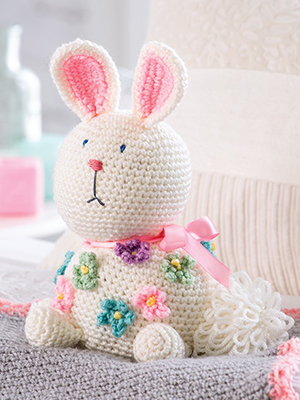 Our Baby Bunny is so cute all decked out with spring flowers. 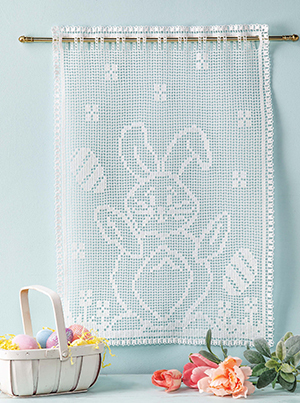 And if you like filet crochet, you may want to make the Happy Bunny Wall Hanging. 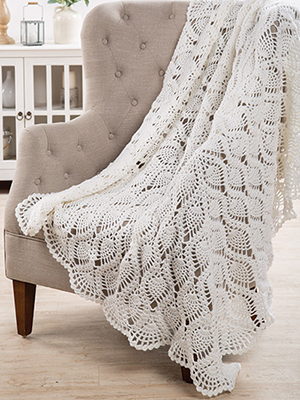 The Signs of Spring chapter also includes three stunning throws. Each one is so uniquely different you may be tempted to make them all. Need a quick gift? 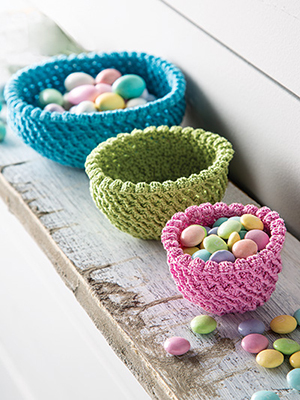 Crochet a set of these cute Little Bits Bowls. The textured post stitches make them sturdy enough so no fabric stiffener is needed! 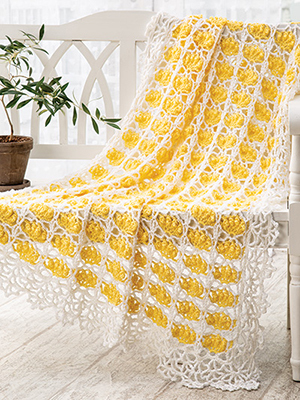 We’ve also included a chapter dedicated to your favorite crochet motif – pineapples! 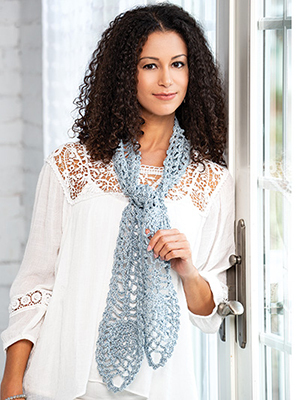 If you are new to crocheting pineapple designs, start with the Penelope Pineapple Scarf. The Pineapple Pizzazz Shawl is the perfect accessory for cool spring evenings. 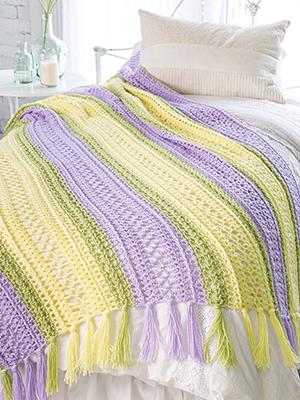 And not to be missed is the gorgeous Pineapple Delight Throw. 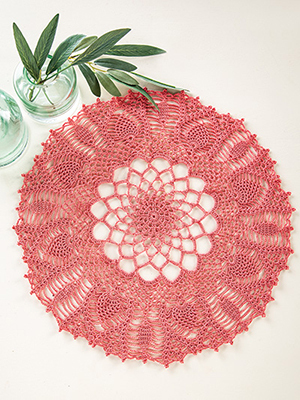 Rounding out this issue is a selection of beautiful thread doilies, items for the kitchen and your home. Make sure to get your copy now. The digital version is available here. Or look for the April 2019 issue at your favorite craft or bookstore beginning February 26. A Better Way! Begin and End Like a Pro!